Blueprint Blue are lost in space. 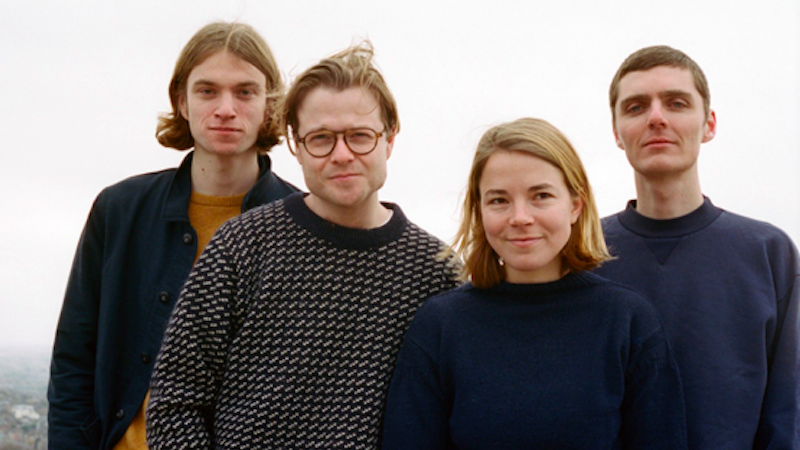 Their debut album, Tourist – due on their own Toadspin Records on 26th April and available for pre-order now – is a ten-track examination of love, the human condition and the future, beamed down from the ether and set to pristine, jazzy pop-rock. Science fiction and fantasy define this record, and things are rarely as they seem. Today, they share new single, ‘Real As These’, along with a video of footage from the album recording sessions last year. It follows ’An-D’ , and 2018 singles ‘Tourist’ and ‘Roll On ’. "Real As These" is based on an Isaac Asimov short story called Dreaming Is A Private Thing. The band explain, "In the story, the next generation of mass consumer entertainment is a dream sequence called a Dreamie. The Dreamie is a totally immersive experience in which the user can touch, feel, taste, smell and affect one’s manufactured surroundings. The song is a sales pitch for a leading Dreamie manufacturer focusing on the more banal and hackneyed worlds one might hope to inhabit. But imagine the awful scenarios people would create if this technology were available now!" To celebrate Tourist's release, they'll also play a very special release party on 26th April at The Waiting Room in London. Tickets are free and available from Dice to guarantee entry on the night.